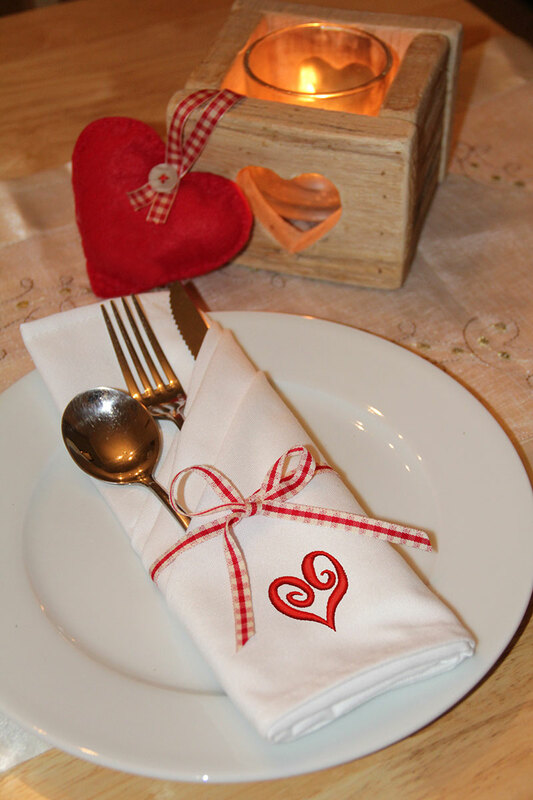 A special touch for Valentine's Day lunch this year. 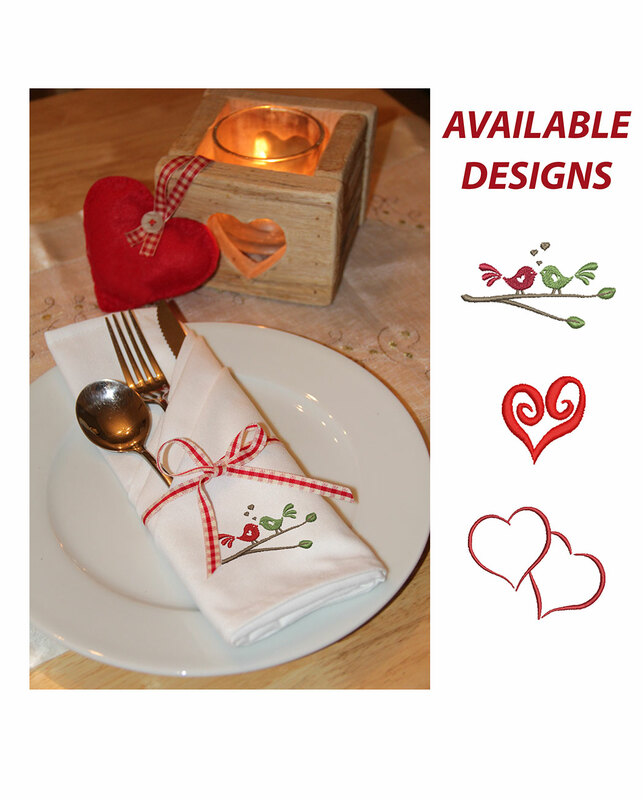 A set of napkins embroidered with your choice of our designs - perfect for your loved one. Available in packs of 4, 6 or 8, they are the perfect finishing touch to your romantic dinner. All of our garments are embroidered in house using the latest embroidery technology and the highest quality thread. Please allow up to 5 working days for dispatch. Standard delivery will be sent second class post, express delivery will be dispatch with 24 hour courier. If you have a tight deadline (last minute gift), send us an email and we will endeavour to meet it. Note: Courier delivery to UK Mainland only; Scottish Highlands, Northern Ireland and UK Islands will be sent with Royal Mail.